With the constant demand for demonstrating regulatory compliance and sustained business growth, Aspen Healthcare has shown that investing in all areas, especially quality, not only protects the business, but makes good commercial sense. Nowhere is this truer than in the UK, especially London, where retaining appropriate market share in a competitive and growing industry sector can be a challenge. In addition, with regulators such as the Care Quality Commission implementing new, more in-depth inspection models, without being able to demonstrate regulatory compliance Aspen Healthcare would not be able to provide healthcare services at all, never mind be a growing and commercially successful business. Aspen continuously seeks to demonstrate that sustained and, more importantly, balanced investment in excellence and innovation is key. We have demonstrated, in practice, that this balanced investment should be made in more than just bricks and mortar, technology or equipment. We focus on wider growth strategies than just acquisition deals. We are equally passionate about investing in quality, clinical excellence, best practice, customer experience and our own staff. We also see this balanced investment supporting the sector as a whole, bringing in appropriate suppliers and partners that supplement internal skills and capabilities, therefore investing in their future too. With ongoing national attention on safety and quality failings in both the public and private healthcare sectors, Aspen has invested heavily in its quality and patient safety agendas throughout recent years. As the majority of revenue streams are typically generated within theatres, where patients are at their most vulnerable, Aspen has focused investment on quality and the safety of our patients in this high-risk environment. This initiative has seen all our hospital directors, nursing service leaders and theatre managers sign up to an Aspen safety commitment. This commits them to a robust audit and review of standards to measure and inform safety outcomes, as well as a code of conduct including safety behaviour guidelines. What’s more, the commitment ensures all departments providing perioperative care adhere to up-to-date Association for Perioperative Practitioners (AfPP) standards. This initiative has been further supported by extensive consultancy input, including a theatre safety survey of all our theatre users, designed to help ensure that we have the right culture and also to inform where we should invest our focus, effort and resources. As further testimony to our investment, Aspen supported the AfPP with the development of the first printed edition of the AfPP Perioperative Audit Tool. Using this accreditation tool, AfPP and Aspen have undertaken a programme of accreditation for all theatres within the Aspen Group. The focus of this external credentialing has been on the validation of the theatre environment, the patient experience and links to patient safety. AfPP, through this collaboration with Aspen, is now also able to roll out the Audit Tool sector-wide. Adherence to the ethos of the AfPP accreditation programme is ensured through assessment and recognition of excellence in service. 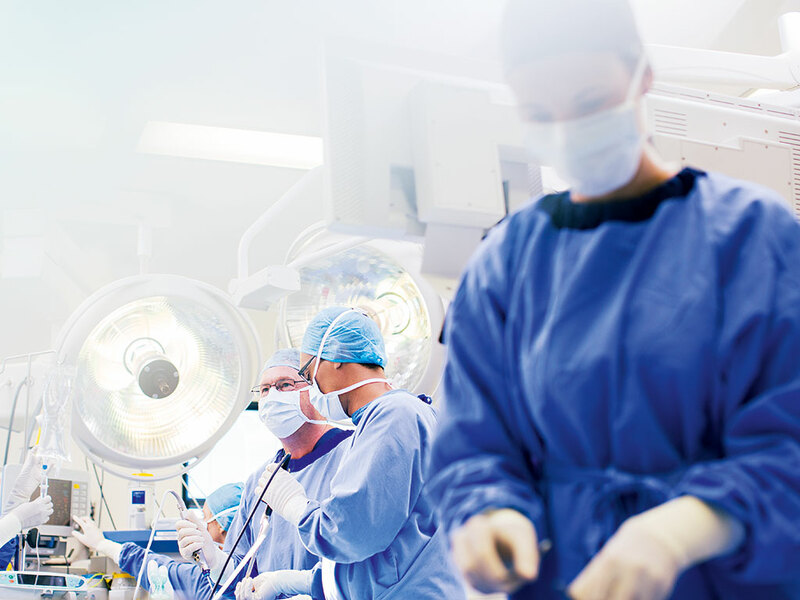 The AfPP brand, therefore, becomes synonymous with AfPP-validated theatres, and serves as a vehicle to demonstrate commitment to patient safety. Aspen is the first healthcare group to achieve this accreditation. Aspen Healthcare has a proactive and dynamic quality governance framework, which was completely revamped in 2013 and is updated every year to ensure it remains current and reflects best practice. While striving to be the provider of choice through the delivery of high-quality services, the framework shows that Aspen aims for more than just the minimum regulatory requirement. It is distilled and reinforced at every level of each Aspen facility, with the aim of ensuring that frontline staff understand all the key components. This investment in quality is sending out a very welcome message of confidence in the future of the UK healthcare industry, at a time when both the public and private health sectors are under much scrutiny. Aspen is committed to training all staff in the principles of customer service, using the internationally recognised WorldHost programme, responsible for creating London’s army of volunteers for the 2012 Olympic Games. By the end of 2014, Aspen Healthcare had already trained 87 percent of its entire workforce. The company has 22 WorldHost trainers, who deliver world-class customer service training to various industries. Aspen is the first UK healthcare organisation to achieve formal accreditation through a nationally recognised badge of excellence for customer service. Apen’s values of ‘beyond compliance’, ‘personalised attention’, ‘investing in excellence’, ‘partnership and teamwork’ and ‘always with integrity’ were formally launched to all staff in 2014. In 2015, we will seek to further embed these into our hospital and clinic culture, in order to distinguish ourselves from other healthcare organisations. We aim to ensure that these values inform our staff how they should go about their work in a positive manner. We have carefully selected values partners (employees throughout the group) to design a programme to take this exciting work forward. Our values partners will deliver their bespoke workshops to our staff, with the primary aim of continuously improving patient and staff experience, putting quality at the heart of everything we do. This investment is paying off, as Aspen received a consistent 99 percent rating for overall quality of care in its 2014 patient satisfaction survey. We are also proud to report that 98 percent of patients would recommend our facilities to family and friends. Aspen also invests in consultant and employee satisfaction assessment. This allows an opportunity for consultants and staff to tell us what we are doing well and where we can improve, allowing ongoing quality improvement. Based on feedback from our staff, Aspen embarked on an internal culture and value programme in 2014, kicked off by key value message branding and an executive roadshow, in which our executive team visited all Aspen sites in one week and held staff workshops. Aspen has invested in the recruitment, management, development and training of its 1,500-plus staff. Following on the theme of innovation, the focus has been on keeping training flexible, using the modern tools at our disposal. This has resulted in the implementation of both the Aspen Skill Port and the National Skills Academy e-learning portals. These platforms provide a 24/7 gateway to learning resources for statutory and mandatory training, skills improvement, professional development, performance support, and much more. Staff are actively encouraged to utilise these systems, with time set aside for this purpose. This is complemented by Aspen’s ‘Investing in You’ programme of staff training workshops. Aspen has also invested in keeping abreast of ever-changing employment law and best practice in people management, including external legal input to completely review HR policies and procedures, in readiness for our next phase of growth. Importantly, this investment in our people is significantly boosted by an extensive capital investment programme in new technology and innovation. Aspen has historically resisted highly leveraging its UK operations. This has enabled us to facilitate substantial capital investment in our existing facilities, totalling more than £70m over the last four years. This has resulted in successful commercial results, giving our shareholders continued confidence in ongoing capital investment.